My boyfriend and I are going on a last minute trip to Atlantic City, I have no time to order any supplies, and I dont plan on becoming a millionaire off of the trip, but winning a little would be great. Any suggestions on what I could use that I might have arond the house? Sorry josdos - but this forum is specifically for discussing and helping people use LM products. It's actually against the forum terms of service to ask for advice about herbs/products that are not purchased through LM, as well as to answer such questions. If you take some time to explore the archives on threads about gambling, you'll find a good deal of information about herbs and techniques. 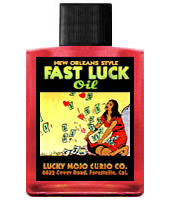 I have heard raves on the following Gambler's Luck http://www.luckymojo.com/gamblersluck.html especially the hand wash. 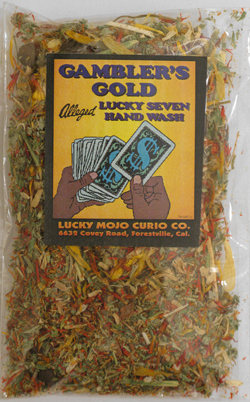 Gambler's Gold Lucky 7 Hand Wash For gambler's luck at games. Hey, jwmclin, you beat me to it -- the Gambler's Luck link is what i was going to suggest as well. Thanks for the link. I wish I had consulted you guys before I placed my order. I am still open to suggestions though, cause now I will know what to buy the next time. This is my first ever ordering from luckymojo.com, I ordered the "lucky hand oil", and the lucky sachet powder. I am still wondering when the order actually goes out??? hm, I am not in a BIG hurry, but I will be excited to know that it is actually on its way. I thought if I combined some things, that were all different, say a lucky mojo bag (lucky hand) and a hand wash, and some powder to put on my money, the effect might be stronger...is this silly or does it make sense?....I am looking forward to trying these products and I will let you all know how they work out for me. A client of mine bought a badger's tooth at the casino and she won like $600 hitting on the same number. And she bathed in some fast luck and pay me now and lit a money drawing candle with the money she was going to use underneath the candle. I mean she kept it really simple, and I remember telling her in the reading that she will hit it big, but needs to know when to STOP. I think that is the key when playing at the casino, and knowing when its a good time to walk away. 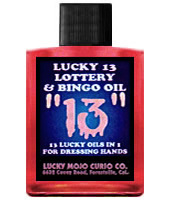 I heard lucky 13 oil is a good multi purpose gambling product and lottery type of oil. I have it, but havent had the chance to use it. And I have heard quite a bit of good luck with Robin's gambling spell too on the link above. I like Black Cat and Wealthy Way for gambling luck. Miss Robin, a rootworker in AIRR, also uses Lady Luck products when she goes to the casinos. If it's a Native American casino, make an offering of tobacco outside before going in. Yes! Near a tree or bush if possible and with opposite of writing hand! Thank you Saint Expedite for everything you have done for me and continue to do for all. Indian Spirit products would also be a good choice. Lucky Mojo carries Black Candle Tobacco. Look under Herbal curios and then Tobacco. My new Lucky Hand Root has done pretty well by me lately. I strung him around my neck with some tough hemp rope and have been feeding him Lucky Hand Root Oil and talking with him everyday... Very powerful LUCKY stuff here! Also get yourself a Lucky Rabbit's Foot and rub it on the machines, or your hands, before you play. I dress mine with Van Van Oil. Anyway, does anyone have any ideas about airplane-safe charms or aids I could take with me? I thank Saints Michael, Dymphna, Cecilia, Joseph, Benedict, Mary, and Muerte for their aid. You can probably take oils if you have them in a clear ziplock bag. Three Jacks and a King is made for card players. Also consider Black Cat and Lady Luck. Thank you both so much! If anyone asks, I can always say the oils are perfume, since they always smell so good. And I don't know why I didn't think of a rabbit's foot, either. Definitely commonplace enough not to raise eyebrows. I have a Three Jacks and a King vigil candle I ordered in the Fall but have never ended up using that I think I'll light the day I leave, too. It might be nice to back it up with one on the MISC altar too. I took my Lucky Mojo and Attraction oil to Vegas on a plane and nobody at the TSA said anything! I have doubts that a mojo bag would be questioned either... pack it in your suitcase or carry on - most mojos are filled with natural items. They're looking for bombs. Just my two cents. I have worked with lots of folks who have gone to Vegas and they have not any trouble with TSA. In fact the TSA in Vegas are use to people having lucky charms for gambling so no worries. Now some advice about Vegas - I have heard through a good source that Italian Strega gave each of the mafia folks a green cat charm to carry when they decided to play. She told each of them to rub it between the breasts of their lovers for luck. I have also heard of folks painting their lodestones green and naming them after one of vegas' big winners then taking them into a casino and letting the lodestone 'lead the way' to winning machine. I give my clients a red mojo bag with a green cat sewn on it with a green lodestone in it along with other herbs to help increase their chances of winning. They all swear by it. I burn a green cat candle while I do the sewing. Try it out and let us know how it goes. As for TSA's and supplies, I've traveled with mine. I have also told them what they are. The mercury dimes in my shoes got me stopped-- and the silly search began. They pretty much left me alone when I explained what a few things were. The Mojo on me was touched or found. None of the supplies I had would have endangered anyone except for something that I left in my purse and forgot to pack in my suit case. It was not taken or seen, and like I said I forgot it was there and to pack it in the suitcase. But the dimes set off the alarms! Good luck and have fun in Vegas! I'm going to Vegas with my friends in a few weeks. Can anyone give me suggestions on what I can perform in the hotel room (probably in the bathroom) to increase my chances of winning that is inconspicuous yet effective? I don't want my friends looking at me like I am a giant weirdo waking up before dawn to take a bath or lighting incense and candles over my money! I hope you can appreciate that. Or should I just do spell work the day before I go to Vegas or something? Also, I like to play craps... any suggestions on appropriate spell or products to use for that? Lady Luck is the traditional formula for dice players. Burn a vigil candle or a green candle dressed with the oil before you go on your trip. Carry a mojo bag. Rub the oil on your hands before you play. (if Miss Robin specified all three oils, there's probably a good reason, I'd use them all: keep in mind that the Pay Me works on the casino to dish out and Money Drawing helps you be a money-magnet, not just a luck magnet). After all, that's what slot machines do. They swallow your money and occasionally "vomit" it up again. You could pray this verse over your mojo hand and your money before going to the casino. Thanks Aura. It's a pretty big list of supplies I'm gonna need just for a lil trip to Vegas... that's why I had to ask if they were all necessary. Did you look at Mama Micki's recommendation? All I can say to you, Howcurious is Oils! You can anoint your hands before going out to play and that is about as inconspicuous as you can get. Also, get yourself a bottle (small or large) of Hoyt's cologne. That will fix you up right! Today is my brithday, and its my 21st birthday, so I live in veqas and i'm officially leqal , so because I am oficially leqal, my mom played a cruel joke on me by qivinq me $21 to qamble with -_- lol. So I went home this eveninq after my celebration with my motherr, I went into my storaqe room, and I had a simple "4 green candle and cleansed it in Hoyt's Cologne and then carved my name, my birthdate, and my petition to "GRANT ME LUCK TONIGHT" inscribed on the candle. THEN, I anointed the small sucker with LADY LUCK OIL, LUCKYHAND OIL, and FIVE FINGERED GRASS OIL, and I burned LUCKYHAND Incense with FIVE FINGERED GRASS HERB as I prayed over the candle, OBVIOUSLY drawing it upwards torwards me. And prayed to bring in money, the winnings and luck to me tonight as I play to win. So I lit the candles and the incense, I also anointed my money with all 3 oils (BIGGEST MISTAKE EVER, dust your money, NEVER oil it, it won't go into the machines) and um.....yeah, I poured HOYT'S COLOGNE on my hands, my head, my arms, everywhere, [not the entire thing lol] praying to draw me luck tonight. I also put a pinch of FIVE FINGER GRASS in my LEFT pocket for game luck, and I brung my bestfriend, had drinks and played at the casino. [I wont say what casino, nor machine] but I prayed to LADY LUCK and she was on my side. I spent $20 IN Ones and got back $80 AND RAN OUT lol! I got addicted for my first time, but I was smart to not spend anymore. I obtained it in 3 hours of playing.....yeah, it was amazing. I convinced my best friend and my hands were truly LUCKY. As a tip....I used ALL of my 10 fingers, pressing the same button at a time. So I just want to say, I LOVE YOU GUYS, and for those who want success, do what I did. IT HELPED ALOT leaving with TRIPLE the amount I came in with. WHO DOESN'T love leaving the casino with more money you came in with??!!?!? Great testimonial TBanks91! Thank you for sharing it and I wish you continued luck. Wow, I kept it simple. We had an impromptu trip to a local casino, so there was no time to prepare. I used what I had: FWP (to keep other people from stealing my good luck) and Fast Luck and a quick prayer. We were there maybe 2 hours, and I left the casino $40 richer. Went again a couple of days later (same ritual) and left $100 richer. Funny, we were on our way out the second time, and the nickel slot I played kept winning and winning and winning. omg, I can't stop laughing... wish I had run out! I went in with $20 one time and got up for almost $800, then lost it ALL. This was, of course, after my best friend told me to not be an idiot and put at least half of that in my purse instead of betting on it. Yes, if you win a large amount, collect your winnings, and run! i test different oils, powders, sachets, candles, etc, for gambling. being an okay gambler; i decided at the last minute before going, to try Miss Cat's Attraction oil combined with her money oil and sprinkled "come to me" sachet in my hair before going out. i didn't feel it at the usual casino i go, so i went to another casino. one i've never gone to. after taking a look around, i took a deep breath, closed my eyes, opened them and a machine stood out. it wasn't one i would have normally choose since i didn't cotton to the premise. anyway, i suddenly felt something push me down on the seat. i don't like spending money, i like making it, so for me this was a challenge. put the money in, possibly lose it or walk to the poker videos that are more of a challenge, and also my preferred game. i put the money in the slot, touched the buttons barely with the palm of my hands which had been anointed with Miss Cat's Money oil and pushed a button. i won the pot. the entire pot. my mixture was the money oil, the attraction oil, and the come to me sachet in my hair. i focused on money and i focused on winning while applying these ingredients. oh, one more thing, before doing anything, i cleansed myself with incense and took a money bath. i always remember to clean the bottom of my feet and pray, especially if i know i'm going into a casino. i take a bath after as well. and i save some of the money for the homeless up the street from where i live. i give it to them personally. Thanks for your ideas and input, Miss Olivia. I especially like the idea of giving to the needy out of your winnings. Hello everyone. First I want to thank Cat for an awesome website and store. I have ordered products several times after researching the information on this site for best practices/best supplies for my goals. I have had good success when I followed all the instructions. Now, I am slightly confused. I had intended to do Ms. Robins Lucky Gambling spell but, as a read the posts in this forum, I am seeing that money dressed in oils and/or written on are rejected by the slot machine bill acceptors. I am going to Las Vegas with my husband the first week in February. I read one of Cat's posts about not leaving anything out of Ms. Robins spell. If I follow it exactly there is a pretty good chance that the slot machines will reject our dressed money and I'm afraid it will negate the spell if I have to exchange the bills at the cashier. I'm hoping for some opinions about other options for us. I was thinking about buying two (2) triple strength fast luck mojo bags and Hoyts Cologne. I'm wondering if I should also buy a Fast Luck vigil candle as well as additional Fast Luck supplies. Any suggestions for spells and products would be appreciated. Fast Luck is one option. I like Black Cat. Instead of dressing money with oil, you can smoke it with incense. 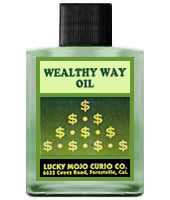 Also, never forget that you can dress your wallet or purse or money clip, as well as anoint your fingertips with Lucky Mojo Oils to help you beat the odds and draw those winnings towards you! Your other ideas sound great, especially the mojo bags and some Hoyt's! Mama Micki and Joseph, thanks for all the suggestions, especially the link to the thread with Job 20:18. I will be buying the mojo bags, hoyts cologne and the Black Cat incense powder. Would it be beneficial to burn both black cat & fast luck incense together to smoke our money or is one incense enough? One last question... Ms. Robins spell calls for preparatory work such as taking a bath in bath crystals. Should we (my husband and I) do that before we leave for the airport or is it even necessary? I will air dry and save some bath water. my shoulder to the West and then the Lucky Mojo Bath Water to the East. We will be going February 2th - 6th and the Moon is waning at that time. Will that cause any problems? Does anyone have suggestions how I could make this spell better? Should I recite Job 20:18 as I bathe in the Black Cat Crystals? one (1) package of Lady Luck bath crystals and one (1) package of Fast Luck bath crystals to use during my trip. I thought it might be a good idea to try different products and see what works best since I'll have 5 days there. If it's convenient to bathe every day with the bath crystals while you are there, go ahead. Lady Luck is often used by dice players, so if you decide to play craps, take a Lady Luck bath. I used Ms. Robin's spell exactly and won $1100 at a casino on a $1 slot machine. It really worked! Mama Micki I have a question for you... Originally I intended to take the lady luck and fast luck bath crystals with me to Las Vegas (we leave tomorrow) but it's just not possible for me to bathe just before sunrise and throw some water into the crossroads. Should I just abandon the idea? I already bathed with Black Cat this morning (to remove or reverse bad luck) and disposed of the water properly. Tomorrow morning, before I travel, I will do the same with a Lucky Mojo bath. Go ahead and take the bath crystals with you, just in case. You can wash your hands and your clothes (in the sink at your room.) You can throw the water to the east at sunrise. I won $1,100.00 a few months ago In an Indian Casino at the first slot machine I went to.Gave a portion of my winnings to friends who need a leg up. I also gave some to a homeless guy and his three kids. A part of me feels its God's way of helping others through me as long as I'm able to. I think tithing to a church or house of worship is always a good thing. 10 percent is good. To give is the greatest pleasure to me. It doesn't matter if you have a little or a lot, its always good to share with one's comrades and friends. Oh, I was carrying my gambling mojo I made myself that contained tobacco, a dressed St. John's the Conqueror Root and some other special things. I also like to put Wealthy way on my hands when gambling. Hey. Am new to Lucky Mojo. I am from the Caribbean Trinidad & Tobago. I am going to try my luck at a casino and need your help. I can order whatever is recomended from your site. Am not a gambler but played at a casino about 3 times in my life. What can be used or recomended because I really need a financial breakthrough or some extra cash to get some things done that I need. There are lots of products that are aimed at gambling. Black Cat (http://www.luckymojo.com/blackcat.html), Fast Luck (http://www.luckymojo.com/fastluck.html), Good Luck (http://www.luckymojo.com/goodluck.html), Lady Luck (http://www.luckymojo.com/ladyluck.html). Take a look at these pages and just pick the product that seems best suited to you. Some of them have spell kits associated with them and these are great for people just starting out as they have all the instructions and products that you need. I will mention though that gambling work does not always lend itself well to situations where the money is needed for things like bills such as car payments and stuff. For those kinds of things Money Drawing products (http://www.luckymojo.com/moneydrawing.html) seem to work well. Don't gamble with anything but disposable income. If you need money, try Money Drawing, Prosperity, Wealthy Way, and/or Money Stay with Me. Steady Work and Crown of Success can help you get a better job. I am new to this forum and i would like some help on spells and things to use to win money playing slots at an Indian casino. Please take a look at this page. There is an ARRAY of spell right here. After reading, if you have any questions, please don't hesitate to ask. I've never been big on gambling. I've been doing a lot of work on drawing money, I've used attraction oil, wealthy way, etc. For some reason I all of a sudden feel the urge to go to the casino. I'm wondering if I should then do some work towards attracting wins, I'm not expecting to walk out a millionaire even though that would be amazing, I'm curious if I should purchase products geared towards that or if the products I currently have would suffice? I do not have any lottery or gambling type products. I think the only one is money drawing that I have. You can use Money Drawing for some help with gambling but I would recommend getting some products more geared to gambling. It really is a different kind of energy then Money Drawing. 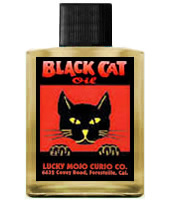 I personally have experience with Black Cat Products (http://www.luckymojo.com/blackcat.html). I have also heard people have good success with Lady Luck (http://www.luckymojo.com/ladyluck.html) or Three Jacks and A King products (http://www.luckymojo.com/threejacksandaking.html). Just remember the work around gambling, luck and winning is not the same as things like Money Stay or Money Drawing so don't spend the money needed for rent just because you got some magic on your side. That said if you go and have a good time with a happy go lucky kind of attitude because you don't have to worry about making the rent with your winnings I find that works really well to increase your luck at whatever your game of choice is! I appreciate that I will do research on the products you suggested and buy the most appropriate. My friend uses Lady Luck very often. He tell me it quite helps. He isn't going to make a millions a day, but he has already earn some money with the help of Lady Luck. Can I put the lady luck oil on the rabbits foot with the van van oil as well. Or only one oil? You can use both oils! I hope you make BIG money! Is it ok to use mutiple oils when gambling? Sure you can use multiple oils as long as they complement each other. Just a few ideas off the top of my head with the oils use listed might be using attraction as your scent/cologne/perfume to create an aura/atmosphere of attraction - anoint your feet with fast luck so your led to lucky tables fast/right off the bat - when you get a bad hand or change tables after a bad streak use black cat on your palms to turn it around and reverse your bad luck. Putting it on your clothing may leave a stain as the oils contain a fatty oil, sweet almond, and coloring. Good luck - I hope your able to save your home!